Cxense Video, Mobile, Banner advertising network details. Cxense is a global ad serving platform that helps publishers turn their raw data into their valuable resource. 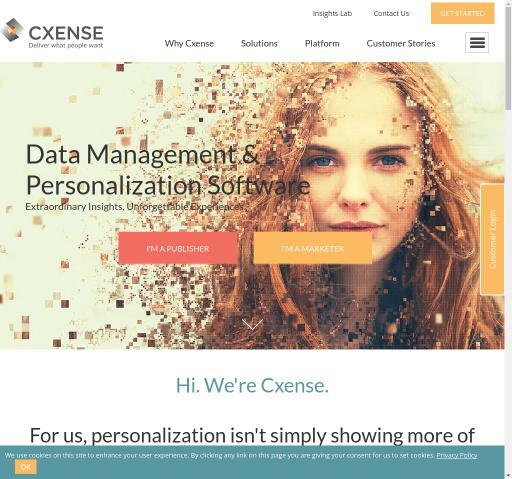 Cxense uses 1:1 Data Management technology to deliver real-time, consistent, and relevant user experiences, build valuable segmentations, optimize conversions and increase digital revenue. In the digital world today, Data Management coupled with Intelligent Personalization is a must. Therefore, Cxense provides its partners with practical and strategic guidance to makes Data-driven decisions simple in order to constantly enhance user experiences. Plus, Cxense team consisting of world-class professionals with over 7 years' intensive experience in the marketing industry will help you quickly get tangible results. You can check Cxense reviews on Affbank and ask Cxense Team any question by using the contacts above, especially about how to earn money!